Intel promise Windows tablets and Notebooks will get a lot cheaper and more powerful in the near future! Intel's CEO, Paul Otellini, has claimed that the company is hard at work trying to get the price of Windows 8 touchscreen devices into territory which would allow more people to feel confident buying them! 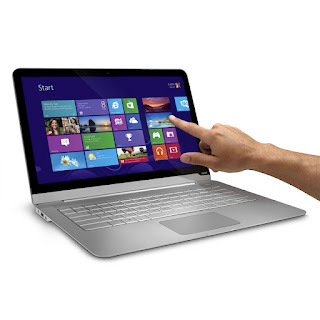 "If you look at touch-enabled Intel-based notebooks that are ultrathin using [Bay Trail] processors. Those prices are going to be down to as low as $200." "The most powerful Atom processor to-date, doubling the computing performance of Intel's current-generation tablet offering... [and allowing designs] as thin as 8mm that have all-day battery life and weeks of standby." If you're excited for these processors the you can expect them to land in devices for the end of this year and they'll go head to head with the ARM processors which you find in your tablets at the moment!